Seems kind of harsh, huh? For me, there have been so many days that passed when I totally forgot my mission. Although, I had a HUGE goal I wanted to attain, I simply did not strive for it that day; which is just as pointless as not having a goal. What are you here to accomplish? Remember to keep that on the forefront of your mind, especially when you initially wake up. Having that goal gives not only your day purpose, but gives your entire LIFE purpose. 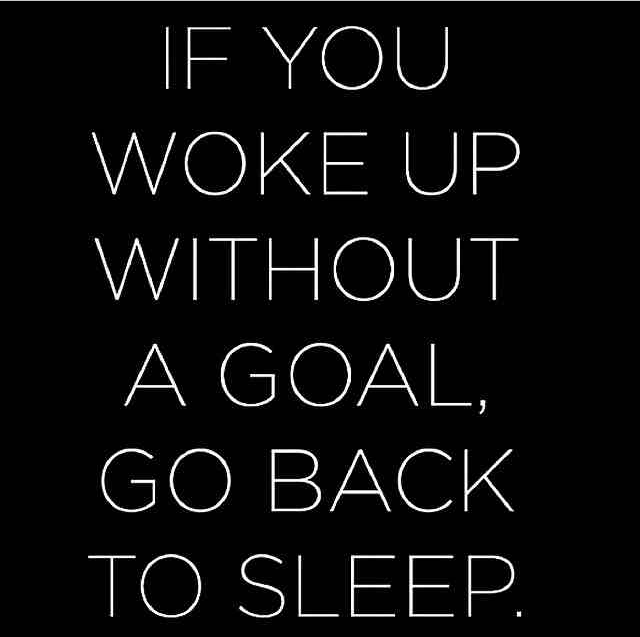 Did you wake up without a goal today? My friend, keep them GOALS in front of you and KEEP AT IT! I’m rooting for you to live your dream life! Cheers to your success!